A West Union man was arrested Monday on child sexual exploitation charges. 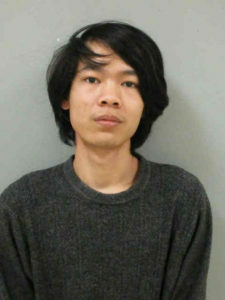 Adam Nakluan Milambiling, 25, could face up to 30 years in prison if convicted of the six felony counts he’s facing. Anyone who had contact with Milambiling — who possibly used the name “Sara Lee” online — is encouraged to contact the Fayette County Sheriff’s office at (563) 422-6067.